Karaelmas Fen ve Mühendislik Dergisi (Karaelmas Science and Engineering Journal) (http://fbd.beun.edu.tr), is the official journalof Bülent Ecevit University. The journal’s aim is to be scientific journal publishing original papers, reviews, short communications, technical notes and scientific editorial letters of science in the following areas: basic sciences, basic medicine science and engineering fields. Articles submitted to this journal are evaluated in a double blinded peer-reviewed fashion by an advisory committee. 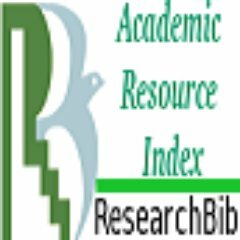 Articles are published mainly in six categories: (1) “Research articles”, (2) “Review Articles”, (3) “Short Communications”, (4) “Technical Notes and Case Reports”, (5) “Letters to the Editor” and (6) “Book/Software Reviews” . All articles may be written in Turkish or English, and should include English and Turkish abstracts and key words. Karaelmas Fen ve Mühendislik Dergisi is published two issues per year in June and December. The journal has also been available on-line by a website: http://fbd.beun.edu.tr. The authors are responsible for any violations in the articles. Makalelerdeki her türlü ihlalden yazarlar sorumludur. Karaelmas Fen ve Mühendislik Dergisi (Karaelmas Fen Müh. Derg.) indexed by EBSCOhost, ISRA, ULAKBİM, Elektronische Zeitschriftenbibliothek and Researchbib.